Contrary to what many people think, there are actually lots of nice cheap watches on the market. These are watches that are not only very accurate, but they are also made to last. Obviously if you go out and you buy some or other unknown brand of watch for $10 then you can’t really expect too much from that watch. I mean, we do need to be reasonable here. What Is A Cheap Watch? When I talk about cheap watches I am not referring to cheap mass produced no-name brands in places like China. Instead, I am talking about well known brands that have been around for ages, but brands that have remained affordable for the average working class person. Some of these brands have been around for more than 100 years already, such as Invicta watches. If a particular make of watch is rubbish, then it won’t still be around after a hundred years. Seiko is another famous watch brand that springs to mind. The first Seiko watches appeared on the market way back in 1924. In 1969 the company introduced the first production quartz watches which interestingly enough cost more or less the equivalent of a medium sized family car. Some Seiko watches are also prized by collectors, particularly some of the older mechanically driven models. The Pogue Seiko was the first automatic chronograph watch to be used in space, while the Seiko Space Walk was the first spring driven watch to be worn by an astronaut during a space walk. I am sure you will agree that it would be silly for anyone to say that Seiko watches aren’t good watches. They are fantastic watches, and yet they are unbelievably affordable. Citizen also makes some very nice cheap watches and you well and truly can buy with confidence. The company first started producing timepieces back in 1930, and their policy of combining excellence with creativity has resulted in Citizen being one of the most trusted time brands in the world. 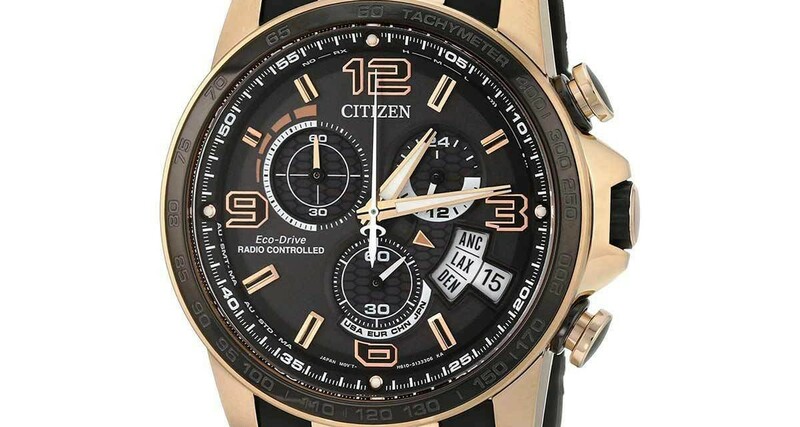 Citizen was also the first watch manufacturer to produce a watch driven purely by light, and in 1995 the highly acclaimed Eco-Drive watches were officially launched. As with Seiko and Invicta, Citizen Watches are loved and trusted all over the world, and they are nowhere near being amongst the most expensive watches. If you know where to look, you can find fantastically good Citizen watches for between $100 and $600, and the chances are that you will have bought yourself a watch that will last you all your life. Bullova watches are another watch brand which has stood the test of time. The very first Bullova watches were hand crafted by Joseph Bullova in 1870 when he opened a small jewelry shop in downtown Manhattan. In 1912 he established a production plant in order to meet an ever growing demand for his Bullova watches. Joseph Bullova is no longer around, but his legacy lives on to this day. Bullova watches are not seen as being expensive watches, but anyone who knows anything about watches also knows that when you buy a Bullova watch, you are buying a watch for life. Casio watches are also excellent watches, and yet they are far from being expensive. In fact, you can find some Casio watches for under $20. Admittedly, if you want a really good Casio then you can expect to pay a few hundred dollars, but then you know you have bought a truly good watch, and one which will probably outlive you. I know there are still a lot of people who like doing things the old fashioned way. They like buying their meat from a butcher rather than from a supermarket for example, and they probably prefer buying a watch from a local jewelry store rather than buying one from a huge online retailer. Yes, you will almost certainly enjoy a much more personal type of experience at your local jewelry store, but you are not going to find the best prices there. Regular brick and mortar stores are quite simply unable to compete with the huge online suppliers that sell hundreds if not thousands of watches month in and month out. I realize that some people are afraid of things like fraud, or the risk of their order getting lost in the mail, but providing you buy from a reputable merchant, you really won’t be taking any risks at all.